If you look around carefully, you will find him everywhere. From bill boards, to temples, from reclining in cars to even as jewellery – we are taking of the omnipresent and most loved God Ganesha. If you visit the coastline of Karnataka, you can also experience myriad forms of the elephant headed God as well as understand different legends associated with the temples. Here are some places that you can visit on your next trip to check out the ‘Ganesha Coast’ for yourself! Situated in Kumbhashi, Anegudde is 100 kms from Mangalore and is a tiny village that has become popular because of this temple. Also called Kumbhashi, Anegudde comes from ‘Aane’ meaning ‘Elephant’ and ‘Gudde’, meaning ‘hillock’. Legend has it that when this place was hit by severe drought in the past, Sage Agasthya performed penance to appease the rain God and the demon Kumbhasura created trouble in the same. This is when Bheema, one of the Pandavas, received a weapon from Lord Ganesha to kill Kumbahasura and this place has a well known temple dedicated to Lord Ganesha. The main idol here is a 12 feet tall single stone that is self manifested and is believed to be growing every year. Fun Fact: This temple celebrates Sankastahara Chaturthi with pomp and on one of the special days 18000 ‘Kotte Kadbu’ or Idlis cooked in jackfruit leaves. The coastal town of Mangalore is home to the Shri Sharavu Mahaganapati temple located in the heart of the city. With a history dating back to over 800 years, legend has it that when King Veerabahu was ruling here, he accidentally killed a cow while he was hunting. To absolve himself of the sin, he was advised by Sage Bharadhwaja to install a Shiva linga and build a temple here. It was much later that Lord Ganesha, self manifested on the southern wall of the temple along with ‘Siddhilakshmi’ and it is believed that praying to this form will grant you what you wish for! Fun Fact: This temple also sees cultural activities including dance and drama shows as well as the traditional dance forms like the Yakshangana. 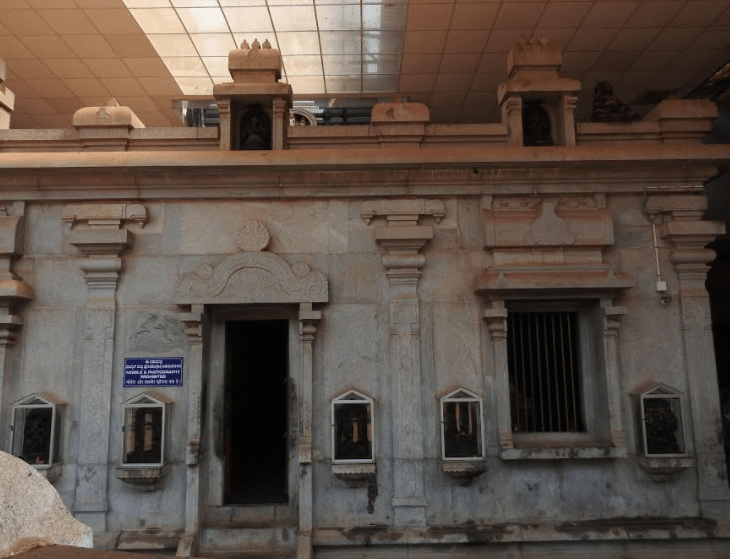 Located in Idagunji town in Honnavara taluk in North Canara district in Karnataka this temple sees a footfall of over a million devotees annually. 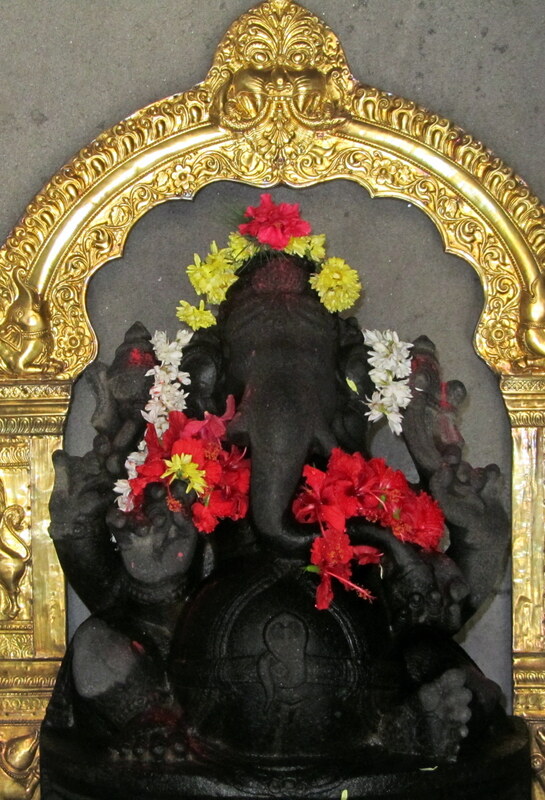 An ancient temple dating back to 1500 years, this has a standing idol of Ganesha has two hands holding his favourite Modak in one and a lotus in another. It is believed that this was the location earmarked by the Gods themselves where saints offered penance. 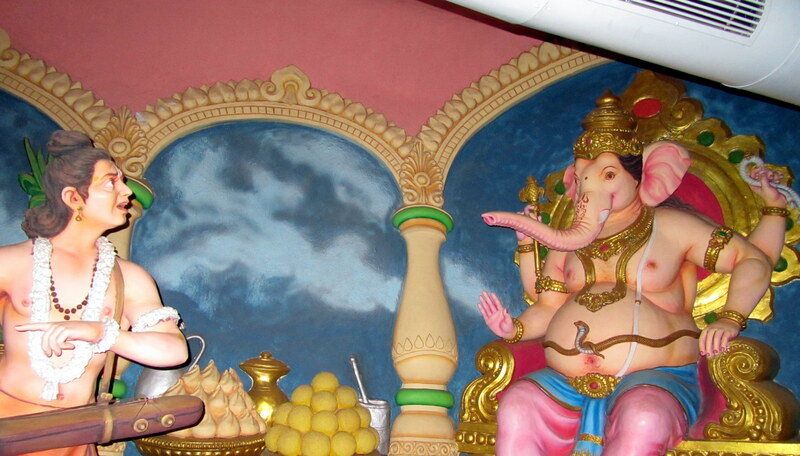 Impressed with this, Ganesha decided to stay here. The temple is quite busy through the year and gets very crowded during Ganesha Chaturthi. Fun Fact: One of the poojas here is called Appane Cheeti or permission (Appane) letter (cheeti). If you are undecided on any question say buying a house or getting married or not, you can place a letter on the right and left foot of the Lord. If the letter on the right falls, it is considered a yes and left is No. 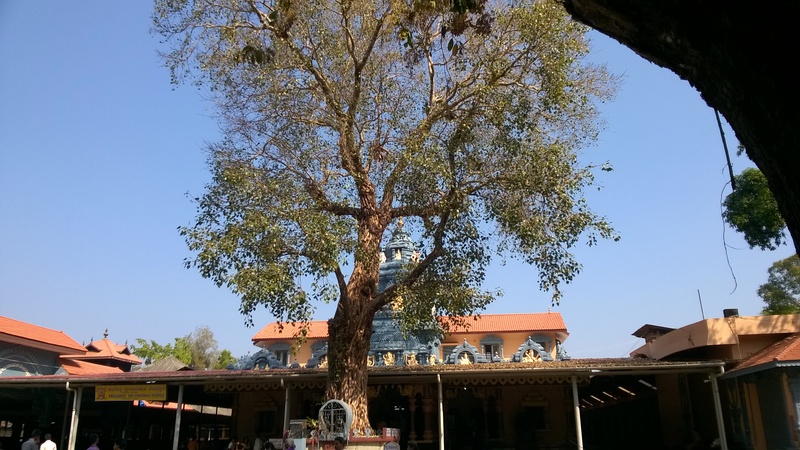 This temple is in the Belthangadi Taluk of Dakshina Kannada district and what sets this temple apart is the fact that the idol of Ganesha is in the midst of an open field without a formal temple structure. It is believed that this idol was worshipped by the royal family ruling this place which was destroyed by enemies. Local cowherds found the idol and and installed it in a cucumber field. In fact it is said that Ganesha appeared in the dreams of the farmers and asked them to keep him in the open and not inside a temple building. Incidentally the name of the place comes from Sowthe meaning cucumber and Adka meaning ‘field’ as cowherds offered cucumber to the deity while praying to him. The temple is decorated with lot of bells offered by devotees who have special wishes. Fun Fact: A popular pooja here is the Avalakki Panchakajjaya Seva made with beaten rice, jaggery, sesame, coconut, honey and banana and must be shared with the cows in the vicinity! This is the Siddivinayaka temple located at Chandaguli around 18 km from Located 18 km from Yellapur, the location is scenic and surrounded with lush paddy fields, areca nut and coconut plantations Also called the Ghante Ganesha Temple (Ghante means bell) the temple has many bells of all sizes depending on the kind of problem being faced. Usually devotees who pray here come back to offer their thanks once their wishes are fulfilled. The idol of Ganesha is beautiful and the sight of the bells all around is mesmerising. Fun Fact: To overcome health related issues, a Tulabhara where one donates coconut, rice and jaggery equal to their body weight by sitting on a huge measuring scale and offering bells is a prevalent practice here. A one of its kind temple, this is a place close to Udupi where Ganesha is resting on the foot of a granite rock in a cave that is always filled with water upto the neck level. Part of a natural rock formation, this is self-manifested and is believed to be the only idol of Ganesha resting in water. Dating back to thousands of years, the three feet tall idol can be seen from a small opening in the wall when the arathi is being performed. The reason why the idol is immersed has an interesting legend. When fighting a demon Tripurasura, Lord Shiva fired an arrow that missed him and Shiva felt that this was caused by Ganesha and fired another arrow at him. But the arrow could not harm Ganesha and took him to a sea called the Madhu Sagara. Ganesha drank the entire honey and blessed Shiva, who killed the demon. To help Ganesha, Shiva brought him to this place and said that those who immerse him in cool water will be blessed! Fun Fact: At least 1000 pots of water are needed to immerse the Lord in water each day and he is bathed like a child after being massaged in coconut oil every day! Located 16 kms north of Udupi in Barkur, this is where you will see Lord Ganesha facing towards North and leaning towards the west. 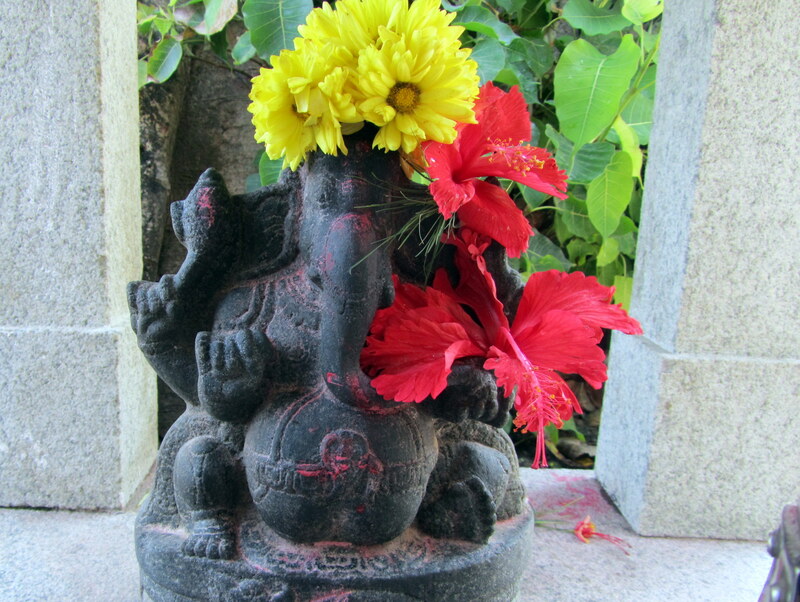 The idol has a cloth (batte means cloth in Kannada) around the waist and bells and plaited hair. Barkur as a region is known for its temples most of which are now in a dilapidated condition. It is believed that most of the devotees who visited this temple in earlier times were vehicle owners. Fun Fact: There are five footprints in front of the temple that has a historical significance and is currently being preserved by the archaeological department. Located 8 km from Kundapur, the idol of the ancient Siddivinayaka temple is carved in a 2.5 feet high Saligrama stone and was built in the 8th century. 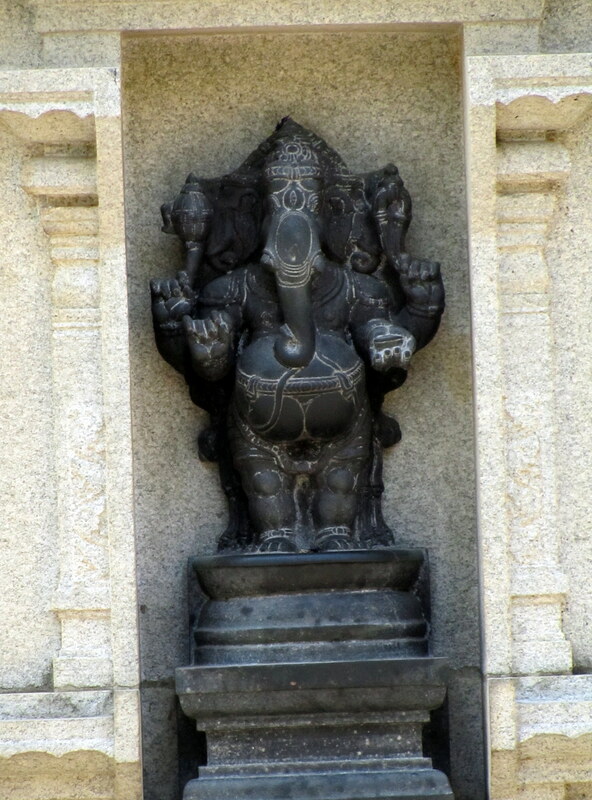 The temple itself is on the bank of River Varahi and the only temple where Ganesha sports matted locks called jata-hair locally and the curly hair is left loose at the back with the trunk bent towards the left. The Siddivinayaka School of ancient scriptures is housed here where students are given free accommodation, food, clothes and education and various cultural like the Yakshagana Kammata-workshop, study and demonstration of medicinal herbs and shrubs, agricultural and yoga camps are held here. Fun Fact: The statue grows in size every year and this is visible from the as it has outgrown the silver casting. Great work and nice share! Good to see you here Bindu.